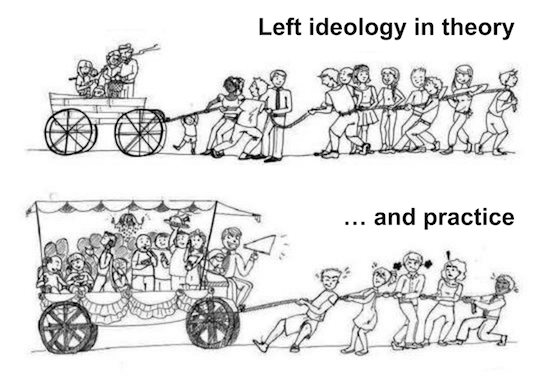 Deutsch: Linke Ideologie in Theorie und Praxis. English: Left ideology in theory and practice. Español: La ideología de izquierda en la teoría y la práctica. Français: L'idéologie de gauche en théorie et en pratique. To embed this file in your language (if available) use the lang parameter with the appropriate language code, e.g. [[File:Left ideology in theory and practice.svg|lang=en]] for the English version.